The Federal Transit Administration has offered grants to a First Avenue streetcar line, Community Transit’s Swift 2 bus-rapid transit line, and Northgate-Lynnwood Link light rail. The grants would have to be approved by Congress first, but history suggest that will happen. Uncle Sam is offering to contribute $1.2 billion toward Sound Transit’s light-rail line from Northgate to Lynnwood, according to the president’s proposed budget — just one of three huge transit gifts in the pipeline for Puget Sound travelers. The proposed First Avenue streetcar line could win another $75 million in federal money, which suddenly places Seattle’s third streetcar corridor on the political fast track. And the feds want to give an additional $43 million toward Community Transit’s Swift 2 bus-rapid transit line connecting Bothell, Mill Creek, Everett’s McCollum Park and Paine Field. The three awards, and many others proposed around the country by the Federal Transit Administration, must still be ratified by Congress in its transportation budget. Each represents at least half the capital cost, and would stoke the transit-construction frenzy under way throughout the region. Sound Transit is already building a new Northgate Station, to open in 2021, followed by plans to reach North Seattle, Shoreline, Mountlake Terrace and Lynn­wood with another 8½ miles of track by 2023, for a total $2.35 billion. The local share of the money comes mostly from sales taxes, approved by voters in 2008. Estimated ridership in the Northgate-Lynnwood extension is 50,500 daily passengers the first year, and 67,100 trips by 2035, an FTA summary says. Despite budget skirmishes between Democratic President Obama and a Republican-majority Congress, history suggests the transit grants have a high likelihood of happening. The Federal Transit Administration’s Small Starts and New Starts programs rolled along under Republican administrations before Obama. The projects are sprinkled around many regions and congressional districts, and they tend to fly under the radar. In 2006, the George W. Bush administration supported $750 million for Sound Transit’s Capitol Hill Tunnel, and in 2003 the initial Seattle-Tukwila route won $500 million despite open criticism from some House conservatives, who said that light rail won’t reduce traffic congestion. “It’s never a done deal, until it’s done,” said Sound Transit spokesman Bruce Gray. But he pointed out that U.S. Sen. Patty Murray, D-Wash., has often looked out for the projects on committees where she serves. Sound Transit has previously won more than $1.3 billion in light-rail grants from FTA. Last month Peter Rogoff, who headed the FTA, moved to Seattle to become CEO of Sound Transit — which can only help it compete for future grants. 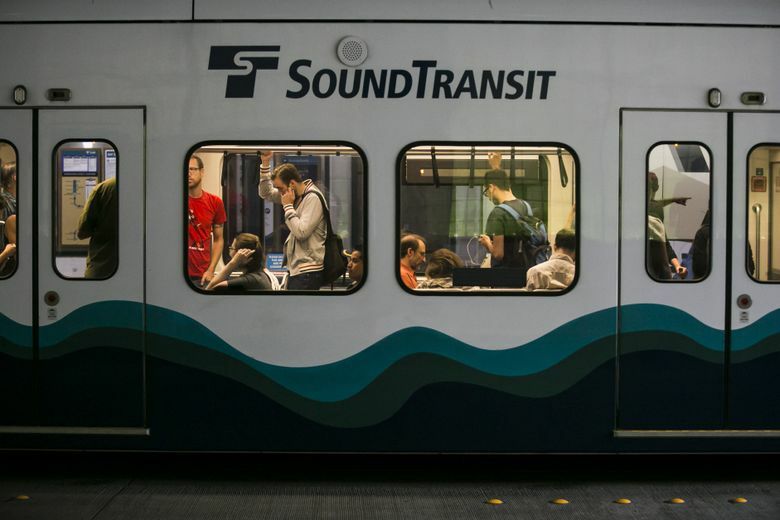 If it arrives, a $1.2 billion grant would far exceed the $600 million or so that Sound Transit assumed the feds might provide, when voters in 2008 approved a tax increase for three suburban routes. It’s too early to know whether a huge grant could free up cash for other Snohomish County lines and stations. What it does provide is more assurance the Lynn­wood line will be delivered as promised, said Everett City Councilmember Paul Roberts, vice chairman of Sound Transit’s governing board. “We’re happy to be on track at this time,” he said. Maggie Fimia, a longtime critic of Sound Transit, said the award isn’t surprising given the agency’s political lobbying clout. “That’s $1.2 billion that could have gone to local transit agencies, and it’s not serving anywhere near the majority of transit users. Even by 2040, 90 percent of the transit rides will be on buses,” said Fimia, a member of the Coalition for Effective Transportation Alternatives. Seattle’s streetcar line, also known as the Center City Connector, would start at McGraw Square (Westlake Avenue at Stewart Street), turn toward the waterfront, then run on First Avenue to Pioneer Square. That route connects the 2007 South Lake Union streetcar to the just-opened First Hill line, though a fraction of users would travel the entire loop. A big question is where the city can find another $60 million or so to complete the $135 million budget for construction and trains. A local funding plan will be released later this year, said Rick Sheridan, spokesman for the Seattle Department of Transportation (SDOT). Streetcars are divisive enough politically that Mayor Ed Murray didn’t include them in the recently passed $972 million Move Seattle levy, which focused mainly on street rebuilds and safety. Sheridan said the SDOT does not intend to use Move Seattle funds. To supplant property-tax money, and spend it on streetcars, would require an 8-1 City Council vote, under last year’s ballot ordinance. Learning from the past, the City Council has resolved that any First Avenue line would run predominantly in its own transit lanes, instead of bogging down in slow general traffic like the first two lines. Nonetheless, streetcar critics argue that new-generation trolley buses are equally comfortable at a lower cost, and that other transportation methods such as sidewalks, pavement or general bus service are more important. Operating costs are also a potential headache. The South Lake Union line has needed three infusions of city loans in its first eight years, as operating costs outpace fare and advertising revenues. In its application for federal money, the SDOT said a full three-line network could be linked by 2019 and serve as many as 25,000 daily passengers. Those include niche markets of tourists, sports fans, and commuters using the Marion Street footbridge to the state ferry terminal. The planned Swift 2 line, similar to RapidRide within King County, would crisscross the Swift 1 line that now serves Highway 99, as promised in a sales-tax measure that barely passed last fall. Swift buses offer new mobility options to thousands of residents, especially those at apartment clusters that surround Snohomish County’s main boulevards.